EVE University vs Brave Newbies Event! Fun was had! 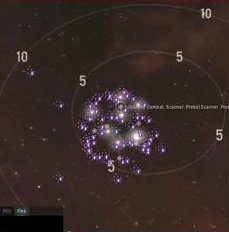 On Saturday 28th Feb, the two best-known Learning Corps in New Eden met up in low security space for a pre-arranged newbro battle! On the day of the event, the Uni had over 80 ships in the travel fleet, many of them out on their first ever fleet! BNI fielded even more pilots for the fights and also provided a *protection* fleet to ensure no third parties spoiled our T1 fun (thanks for that, guys! ), and fun it definitely was! Here’s a screenshot of the beautiful E-Uni ‘blob’ at the staging system! We fought several ’rounds’, reshipping quickly in between, popping a crazy amount of ships, and then held a free-for-all at the Sun before helping some folks who wanted to get home quick by ‘pod express’! “10 out of 10 would do it again”! with donations of ships, isk, help or by turning up to fight! E-Uni are looking forward to the next time!